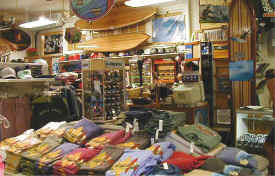 PaddleAir sends a big aloha to our latest dealer in Hawaii on the beautiful island of Kauai: The Hanalei Surf Company. Now, locals and visitors alike can get a Rib Rocket without a wait and experience a new boost in paddling and relief from rib pain immediately. 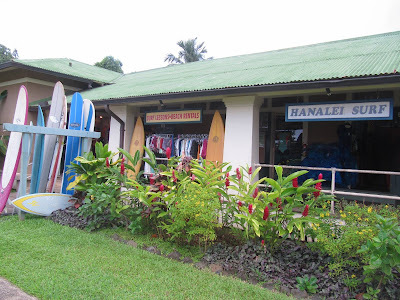 A visit to Hanalei Surf Company is not just a visit to a surf shop, but to part of the historic 1911 Old Hanalei School House (moved to its present location in 1990). In the shop you'll ..."find everything for the surfer and beachgoer, from surfboards to sunscreen and cutting edge surf fashions." They also have rentals and sponsor surf contests. Hanalei, HI 96714 (view on map). In addition, their Backdoor Store is located in the Ching Young Village Shopping Center in Hanalei. They relate: "Backdoor specializes in cutting edge junior women's fashions, skating equipment, kids clothing and stuff, and men's trunks and aloha shirts." Was just on the island and got me a vest from this great shop!! Before you buy a SUP you have to try one out yourself. The only way to really do this is to get in the water with a few.